Sources: -Hardboards are a cheaper option than plywood where strength is not required. Hardboard is made from wood fibre is extracted from chips and pulped wood waste. In the production process the pulp is exploded under pressure. Heat and steam is applies to leave a fine, fluffy brown fibres. These fibres are transformed into mats, which are held together with lignum and other glues. The mats are than pressed between steam-heated metal plates to give grainless sheets with one smooth, glossy surface and one textured surface. To prevent warping, moisture is added in a humidification chamber. Disadvantages: -Hardboard cannot be used outside because it absorbs water. 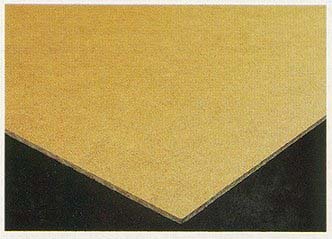 Advantages: -There are three basic types of hardboard are available - standard, medium and oil-tempered. Oil tempered boards are impregnated with oil making them stiffer, harder and more resistant to scratches and moisture. A number of specially hardboards are available for specific purposes. These have either embossed, perforated, plastic-faced or veneer surfaces. You can join us for best scjp exam & mcts practice test solutions. Our 642-902 contains all those materials you want to pass for real 640-864 dumps exam & cisco ccie.